Beautiful traditional style shooting glove. Usually available in Black OR Brown Leather. 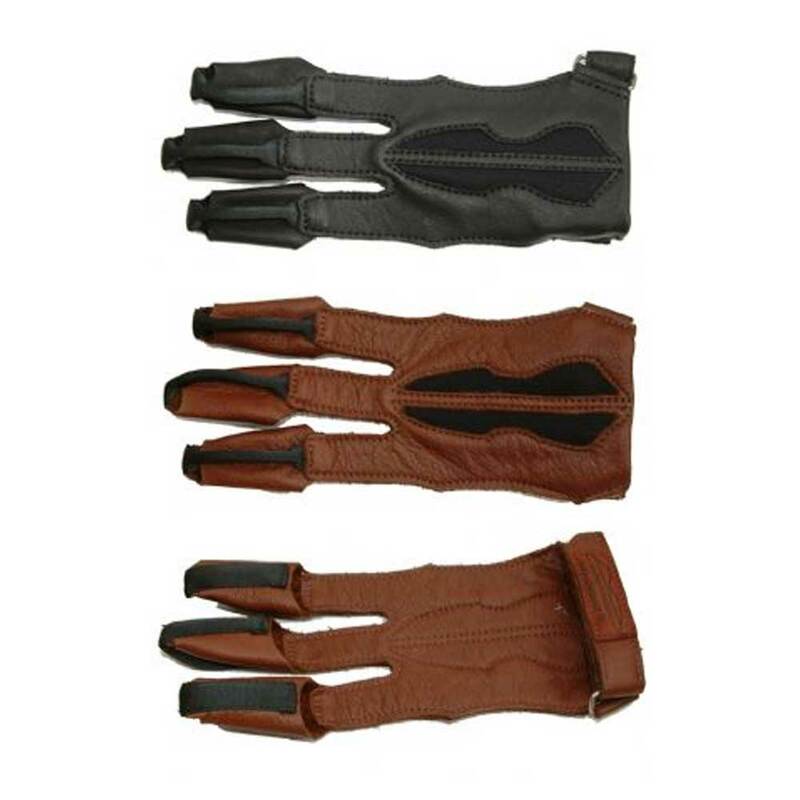 The pads of the fingers are fitted with a very durable yet slick webbing material to give a clean shot time after time.